Quality control is an integral part of enterprises and the development lifecycles of their products. From cars on the road, to design software and packaging on store shelves, every product is guaranteed to go through a quality control department for verification and validation before reaching consumers. With technology often focused on product features and increasing productivity for consumers, it’s common for businesses to overlook the productivity gains that technology and automation in quality control can bring to help launch products faster. 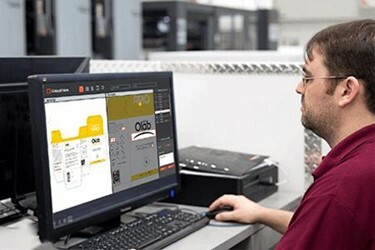 When it comes to automating quality control, the packaging industry relies mostly on manual methods that are inefficient, slow, and prone to errors. Though individual reasons to automate may vary by industry and business size, it is overall a step in the right direction for any company. Companies can save time, lower costs, avoid recalls and damage to their reputation, and speed up the workflow.